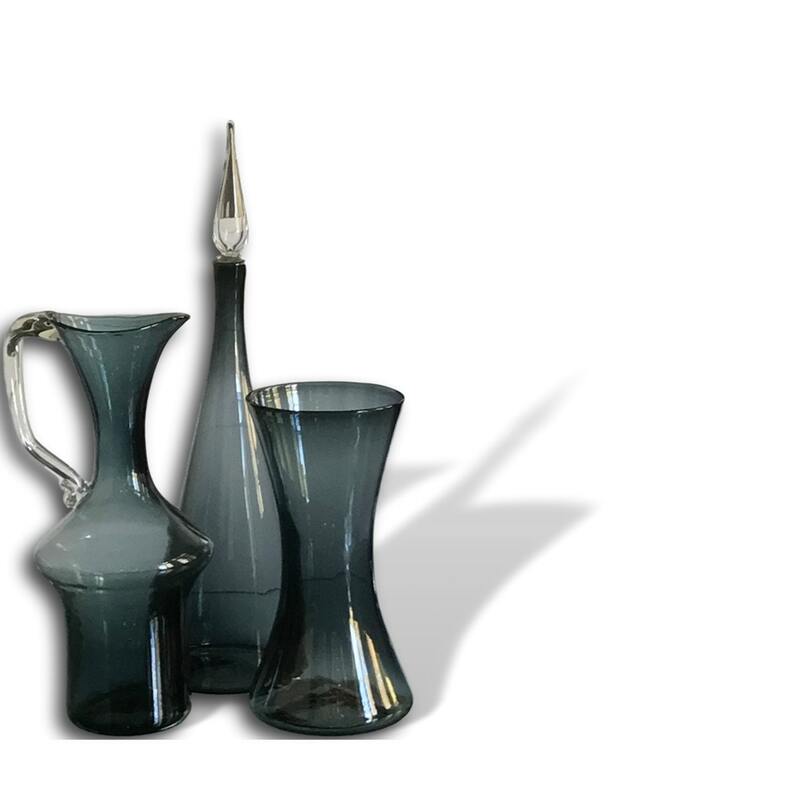 Iconic BLENKO Anderson #920L Glass Decanter in CHARCOAL-Minty & Ships Free to the U S.
Check out this mid century marvel--a near-mint and super clean 920L glass decanter in CHARCOAL grey. 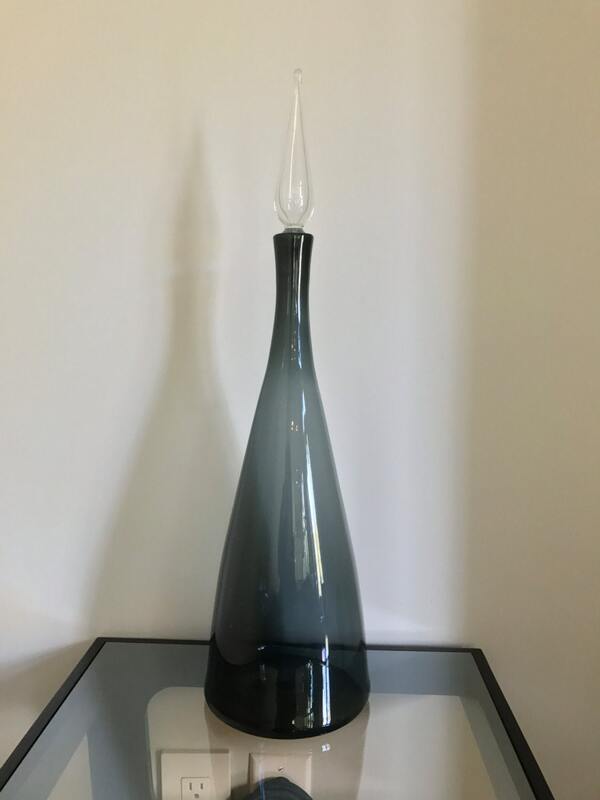 BLENKO produced it's celebrated #920 decanter, designed by Winslow Anderson around 1949, for at least 15 years, so rare it is not. 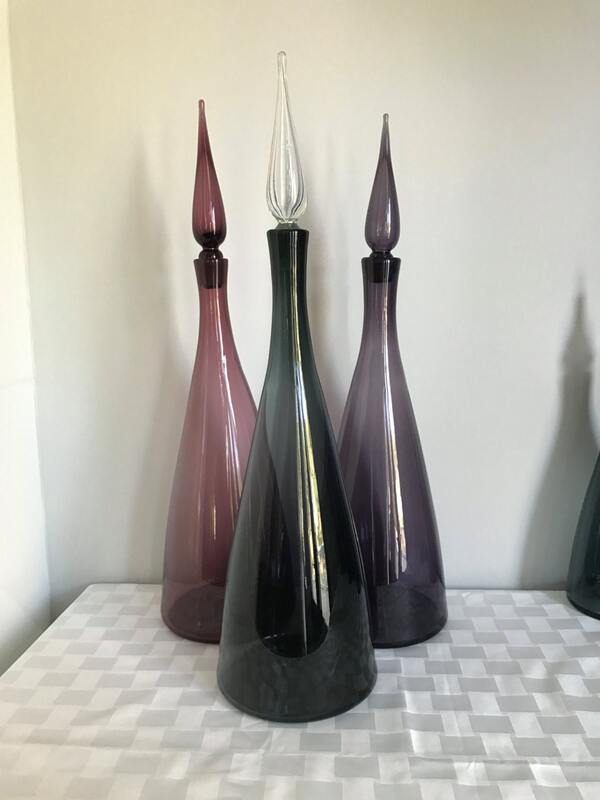 But all 920s are not created equal--notice how some seem more stocky and squat while others sport the exquisite sweep and graceful curves envisioned by its designer, whose reported intent was to mimic the shape and flow of a falling tear drop. Suffice it to say, the exquisite form of our 920L decanter (the largest of the series) is breathtaking (tear-jerking if you like). 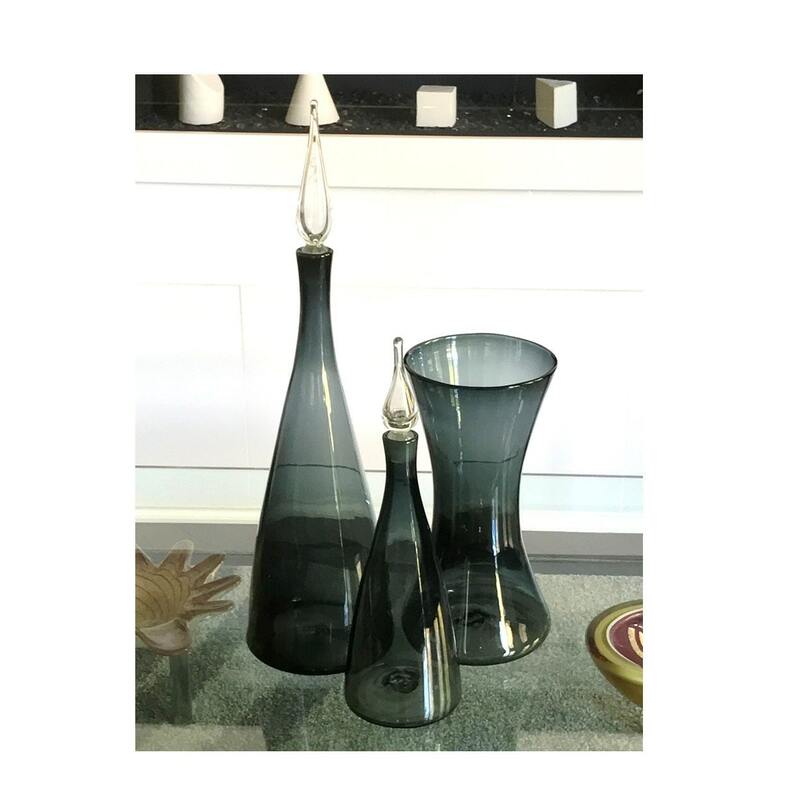 Moreover, our decanter, at 23.5 inches tall, is at least an inch taller than most of its brethren, enhancing the sweep and grace of its form.